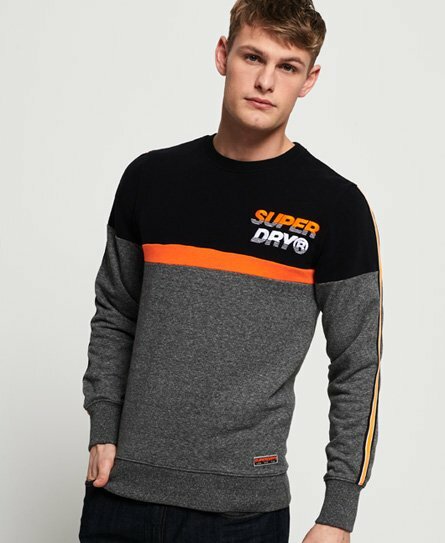 Superdry men's applique oversized Nu Lad lite sweatshirt. A lightweight oversized sweatshirt featuring long sleeves, a crew neck and a panelled design across the chest. Finished with an applique Superdry logo on the chest, a Superdry logo badge above the hem and striped detailing down the sleeves.